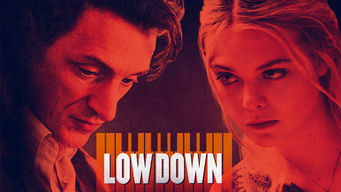 How to watch Low Down (2014) on Netflix Argentina! Yes, Low Down is now available on Argentine Netflix. It arrived for online streaming on October 7, 2017. We'll keep checking Netflix Argentina for Low Down, and this page will be updated with any changes. Jazz pianist Joe Albany's turbulent life story is recounted by his daughter Amy, who grew up surrounded by the rebellious spirit of the 1960s.